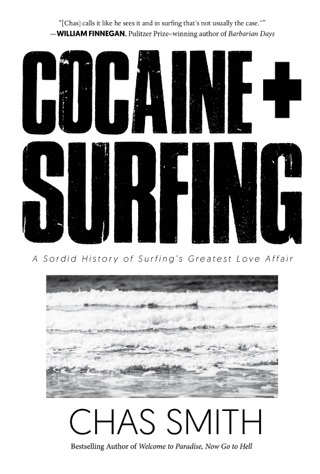 This debut effort from Smith, a war correspondent turned surfing journalist with a cruel, sometimes witty eye, is a mix of reportage and gonzo journalism for the surfing set. 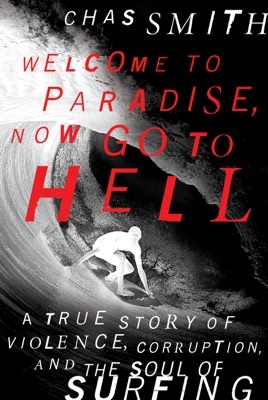 Mixing shameless, fey bluster that he dubs Trash Prose and occasionally trenchant observation, Smith delves into the scene surrounding the big-money surfing contests on Oahu, Hawaii s legendary North Shore. As the pro circuit arrives for the winter wave season, Smith sketches an expos of the tensions between local Hawaiian surfers and low-level gangsters and the established surfing professionals, surfwear brand representatives, and out-of-towners during this seasonal demographic change. Smith s favorite subject, however, is himself: he sees himself as an outlaw raconteur whose articles garner so much resentment he gets roughed up at a party. He also provides endless descriptions of his wardrobe he calls his style his version of Island Dandy, which is purposefully at odds with everything Oahu s North Shore stands for. If Hunter S. Thompson circa Hell s Angels merged with a fashion critic to write about surfing for Maxim, the result might be similar. Smith s approach is myopic, writing for an audience that already knows the sport and the names. There are some astute observations (particularly his analysis of why surfing is essentially a lonely sport), but ultimately the book fails to reveal much beyond the author s considerable self-regard. The in depth detail about the behind the scenes life on the north shore was amazing. However if the information came in different format it would do more for the story. I didn't care for the style from the author. At times it seemed he made the book more about him. The entire vibe put off by chas was just not in my taste. His attitude and "flare" although popular in some settings, seems like a direction surfing is heading that I don't care for as much. Thank you Chas. Fun trip. I just finished this book in a day and I couldn't put it down. Having spent a lot of time at the North Shore I really felt like I was there again while reading this book. Chas Smith has a unique writing style that expresses exactly what you are thinking as he describes things. Top notch.